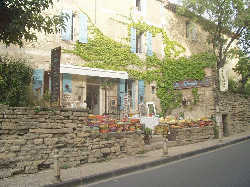 Gordes is a small French village. 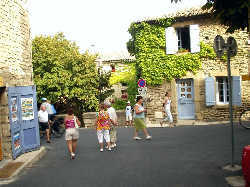 Every years, many visitors of all the countries appreciate his hotels, restaurants and cultural activities. In his smalls streets made with stone, we can visit smalls shops and artisans workshops. 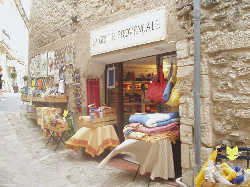 Every Tuesday morning, in the streets of the village, there is a “provençal” market. One can finds there the regional products, wild grasses and local spices. 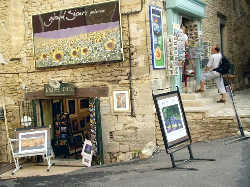 From April to September, Gordes accommodates painters, photographers and sculptors in 4 showrooms. 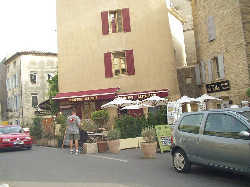 At the beginning of August, there is the festival named “summer nights of Gordes”, with singers, musicians and actors of reputation. - contests of photographs (the one of February 2005, will have for subject : the almond tree, its flowers, its fruits). - a market of products of the soil. - pedestrians races and mountain bike. 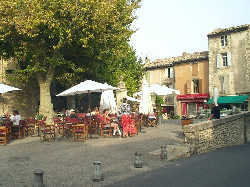 - the celebration of the wines. - the votive celebration. at the beginning of October.